I was very excited to pick up Aïcha’s toddler bed today. I bought it on ebay and installed it in the spare room. I intend to move Aïcha out of the nursery soon so her move doesn’t appear to be provoked by the new baby’s arrival. I’ll start by letting Aïcha spend rest-time in her new room before moving her out of the cot for her night sleeps too. 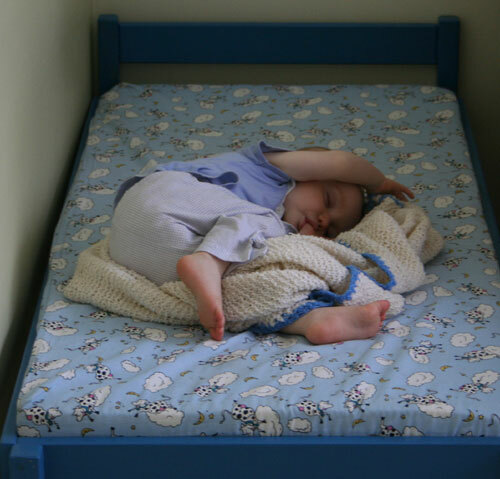 No problems at moving from the cot! The day I put it in her "big girl" room, Aisha fell asleep on it for rest-time.